This grille guard gives your vehicle a truly rugged look. Powder coated steel construction, heavy-duty wraparound wings, and full punch-plate grille offer maximum protection. Rubber-coated uprights shield grille guard from damage. 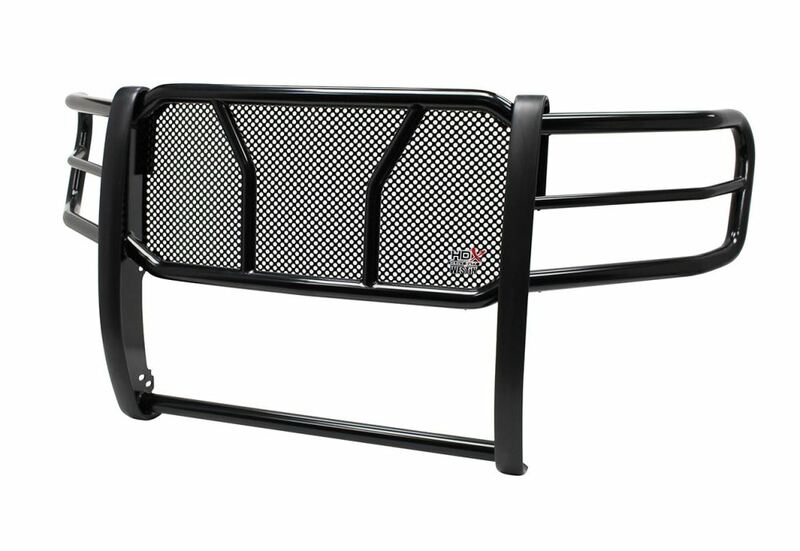 Call 800-298-8924 to order Westin grille guards part number 57-3835 or order online at etrailer.com. Free expert support on all Westin products. 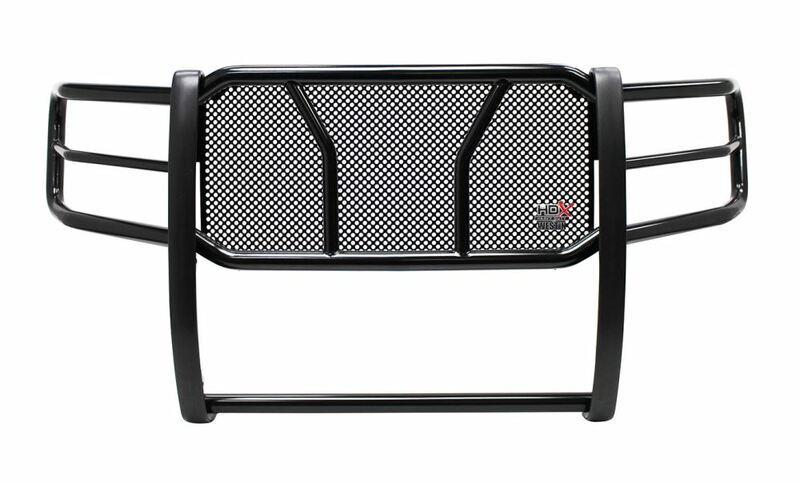 Guaranteed Lowest Price and Fastest Shipping for Westin HDX Grille Guard with Punch Plate - Black Powder Coated Steel. Grille Guards reviews from real customers. This grille guard gives your vehicle a truly rugged look. Powder coated steel construction, heavy-duty wraparound wings, and full punch-plate grille offer maximum protection. Rubber-coated uprights shield grille guard from damage. Headlight guard tube diameter: 1-1/4"
WARNING: Some products may contain chemicals, such as DEHP, which can cause cancer, birth defects, or other reproductive harm. For more information, go to www.p65warnings.ca.gov. Order: RelevanceNewestRating - High to LowRating - Low to High This grille guard gives your vehicle a truly rugged look. Powder coated steel construction, heavy-duty wraparound wings, and full punch-plate grille offer maximum protection. Rubber-coated uprights shield grille guard from damage. It has been over a year now and my Westin Grille Guard still looks like the day it came out of the box. The truck stays outside 24/7/365 in upper NY state. I bought it to protect my front end against deer hits, but the deer seem to stand at the side of the road admiring how good my guard looks. Now I am thinking about ordering the Westin 6 HID light kit to improve night time driving. I certainly would recommend Westin to anyone looking for aftermarket products. Do you have a question about this Grille Guard? I wish Westin would allow their HDX grille guards like the part # 57-3835 have a winch mount be added at a later date, but they do not so for your 2017 Ford F-150 you'd need to go with the guard that has the winch plate installed already like the part # 57-93835. I checked the install instructions for the Westin HDX grille guard part # 57-3835 you mentioned which fits your 2016 Ford F-150 and the tow hooks do need to be permanently removed. If you found yourself in a situation where you were stuck and you needed a recovery point you could wrap a tow strap around the lower crosstube of the guard below the bumper. Highest quality grille guards for the best price. Most detailed, accurate grille guard information available.